“Il divieto dei freni a disco vige solo per le gare approvate come “STRADA”. 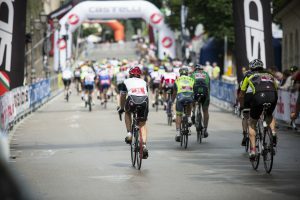 La 24 ore di Feltre è approvata come “GRAN FONDO”. Pertanto in detta gara risulta ammesso l’utilizzo dei freni a disco”. Quindi il comitato organizzatore di Castelli24 comunica ai partecipanti che alla manifestazione saranno ammesse le biciclette dotate di freni a disco. Regarding the thorny question of whether or not disc brakes are allowed at the 24-hour race in Feltre, after the publication of the federation’s communiqué No. 6 on March 30, 2017, on the FCI website, the Pedale Feltrino organizing committee consulted the race jury that will be present at the even on June 9 and 10 for clarification. Thus, the organizing committee of the Castelli24H informs the participants that bicycles with disc brakes will be allowed at the event.